When God tells Noah to do something-like build a boat in the desert-Noah does it! Even though his neighbors make fun of him, Noah gathers animals to live in the boat. 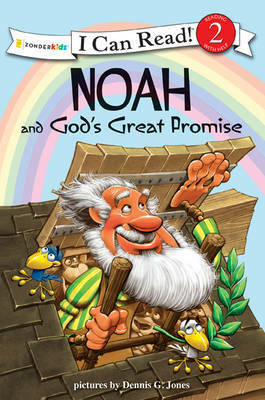 What will happen to Noah and the animals? This is a Level Two I Can Read! book, which means it's perfect for children learning to sound out words and sentences. It aligns with guided reading level J and will be of interest to children Pre-K to 3rd grade.